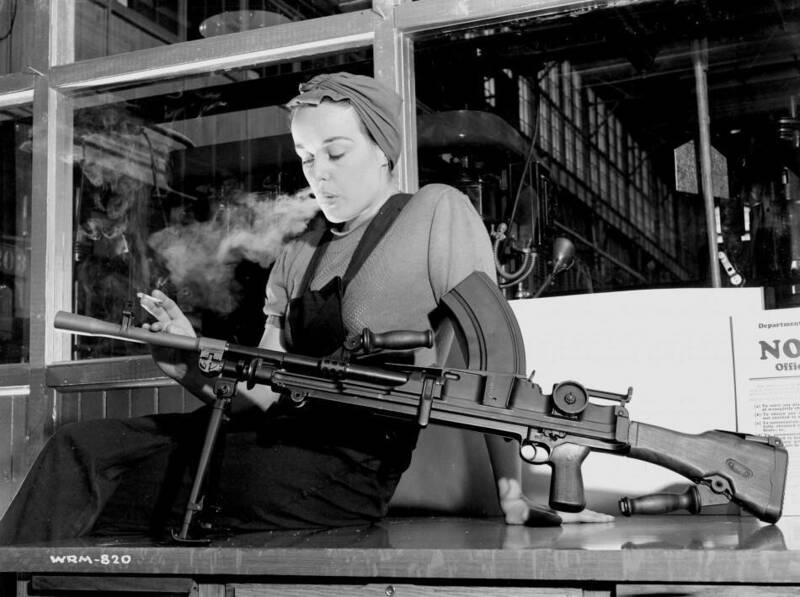 A note from visitor Peter Young and his reaction to The Other NFB and the “Bren Gun Girl” Veronica Foster. I visited the RMG on Sunday to take in The Other NFB, and I’d like to say that it’s just a great exhibit. The photographs portray such a wonderful variety of life in Canada over 30 years between 1941 and 1971. 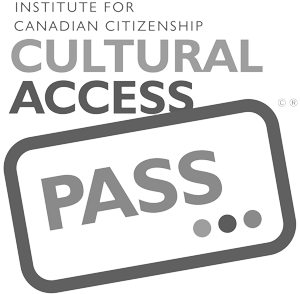 I understand it’s curated by Dr. Carol Payne from Carleton University who has also authored a comprehensive book “The Official Picture” on this subject, published in 2013. I have some information for you, along with a few visuals, that I thought you’d enjoy which relate to a selection of the photos. The photograph I used is one of a series taken at the Glen Eagle Country Club on May 10, 1941, where she’s dancing with Michael Craig. I obtained it from the National Archives and have included the related info. This is the same date the other shots in the exhibit were taken, and at the same locale. In fact you can see the chandelier and the French door in the background, and there’s a juke box in mine. After a little research, I discovered that Veronica, or “Ronnie” as she seemed to be called, was also a Big Band singer. She performed with the Mart Kenney Orchestra as well as Trump Davidson. Mart’s band was known across Canada, doing regular radio broadcasts and performances. He was based in BC but toured the country relentlessly for over 60 years and was heavily involved with raising funds for bonds during WWII as well. 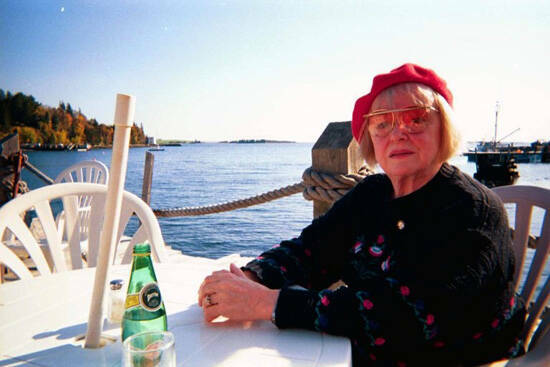 Trump Davidson was also one of Canada’s best jazz arrangers, composers and band leaders. He led the house band for years at the Palace Pier in Toronto. Ronnie met her future husband, trombonist George Guerrette who performed with Trump. They had 5 kids and from what I can determine, George passed away and Ronnie moved back to Toronto when her family was rather young. 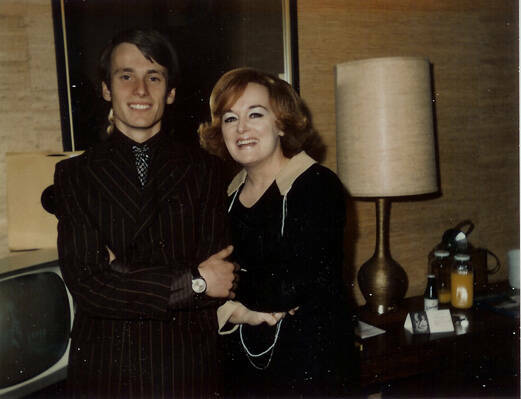 One of her sons, also named George, followed in his Dad’s footsteps and has been involved with music for most of his life. 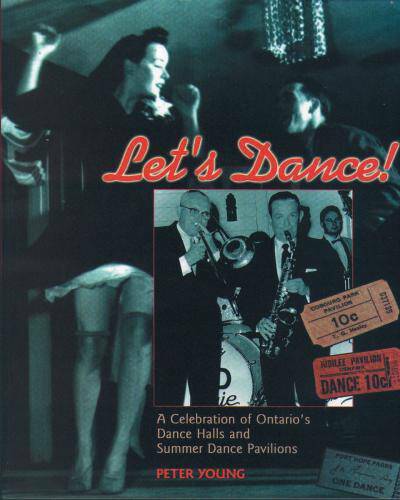 My book “Let’s Dance” covers many of the venues in Ontario where people met, socialized, enjoyed entertainment and often formed life-long relationships from the late 1920’s up to the early years of rock & roll. You might be interested to know that the Jubilee Pavilion in Oshawa’s Lakeview Park, built in 1927, is one of the few original dance pavilions remaining in the Province. It successfully made the transition from Big Band to Rock music under the management of Owen McCrohan – affectionately known as “Onie McCronie” around town – who ran the place for 50 years! I thought you’d like to read this “story behind the photo.” It’s always interesting to learn more about subjects in photos that captured a moment in time. During the 1960’s and 1970’s Peter Young used to work in a number of rock and roll bands, playing in many of the dance halls and summer dance pavilions throughout the province. Most of these venues have disappeared over the years. He has written three books about this subject, the most recent one is “Let’s Dance,” published by Dundurn. Writing the books has been part of Peter’s interest in nostalgia and pop culture. He researches destinations where people went for their entertainment and to socialize, including small town movie theatres, drive-in movie theatres, older diners and other aspects of life from the post-war era, particularly places which have survived and continue to operate. Peter runs his own business, PDA Communications Ltd in Oshawa, where he works as a freelance writer.